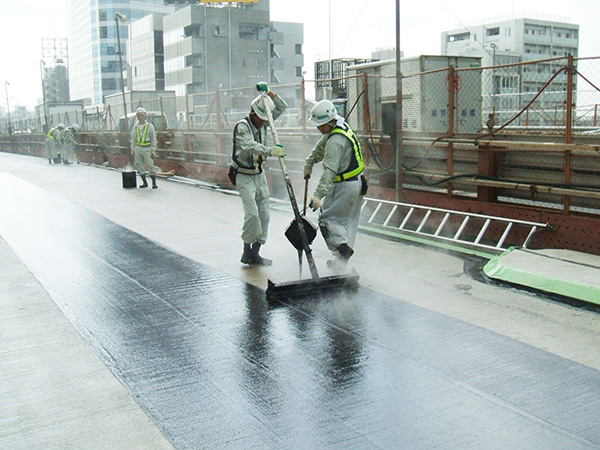 The FRESH COAT construction method is an asphalt-based membrane-type waterproofing construction method that has an outstanding ability to inhibit the sticking of the materials to the tires of vehicles passing over the waterproofing layer. 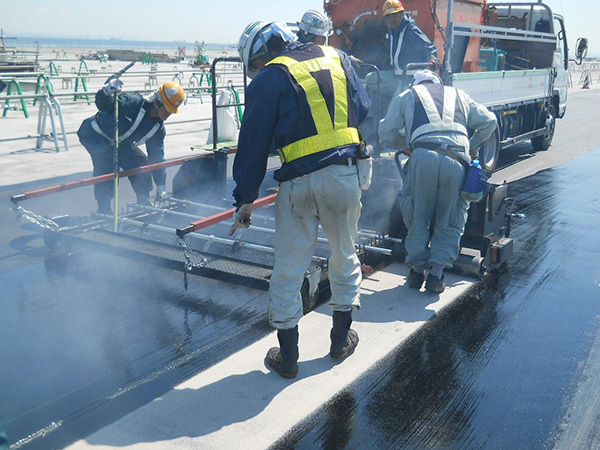 This method can be applied as a membrane waterproofing construction method in a variety of situations, regardless of whether new construction or repairs are being carried out. Even at high temperatures (60℃), the sticking of the waterproofing material to vehicle tires will be limited. The outstanding heat resistance means that there will be little change to the properties and conditions due to repeated heating. Since curing is not required after finishing the implementation, it will be possible to move on quickly to the next process.